Boyd Specialty Sleep, whose beds include Flotation Mattresses (waterbeds), Air Mattresses (air beds), Memory Foam Mattresses and Latex Mattresses, has introduced a new concept in personalization of mattress comfort, the Cube Mattress. 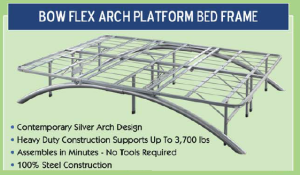 This is one of two recently unveiled mattress series, joining other bedding products co-branded with furniture company Broyhill. The Cube is not yet on the market at the time of this writing (Sept. 2014), but is expected to be available in a few months (early 2015). Like the typical foam mattress, the Cube has a high resilience polyurethane foam support core. In the Cube this serves as a tray for the comfort layer of several cubes, 12 to 18 in number. Each cube has a firmer side and a softer side. 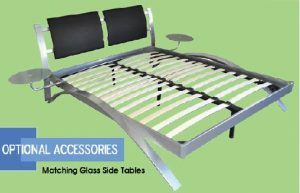 The user can select the comfort configuration on his or her side of the bed. The quilted cover is zippered to allow access to the cubes. Each cube can be turned to have the blue (softer) or cream (firmer) side up. They are covered with nylon tricot, which makes it easier to pull a cube out and put it back in. 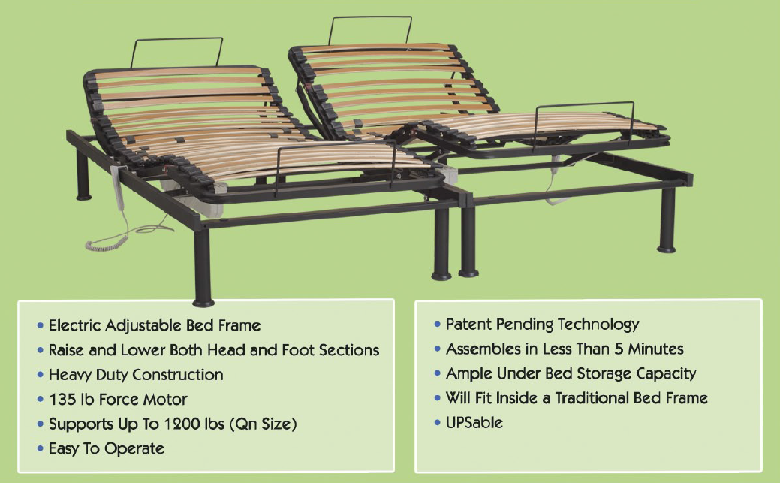 With 6 to 8 cubes on each side of the bed, a consumer can choose the zoning to fit her or his body size as well as comfort level and sleeping position. The pattern of softer and firmer segments can reduce pressure points and support the spine, especially the lumbar and head. The three models in the Cube series differ in the cubes used. Cubes in the entry level mattress have gel memory foam on the softer side and engineered latex on the other. The middle level mattress has gel-infused latex on the firmer side. The top level model combines foam and air. Like the entry level model, the cubes have gel-infused memory foam on the plush side and HD engineered latex on the firmer side. But between these is an air valve that pumps air in and out. The zippered cover is made of stretch-knit fabric quilted with polyfil. The quilt stitching echoes the chamber pattern beneath. Boyd Specialty Sleep also makes and sells a number of foundations suitable for foam and air beds, including the Cube. 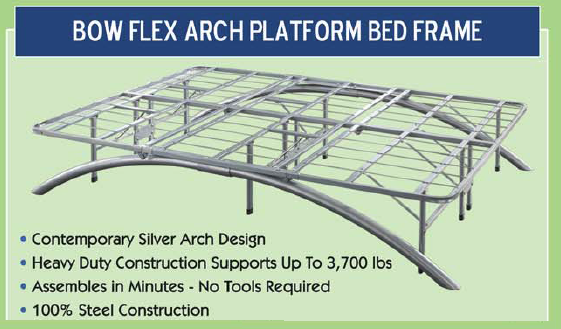 These include platform bed frames and adjustable bases. The platforms include both steel grid and European-style wood slats. The adjustable beds include both regular and slatted bases. 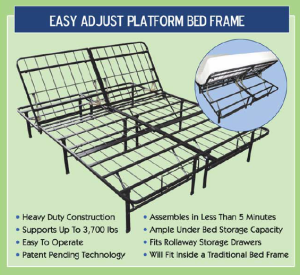 One adjustable model is a steel grid platform with a hinged head section which can be manually raised.